When Telkom launched its Boltspeed fibre network across South Africa at the start of February 2016, they claimed it was the fastest fibre optic internet available. Therefore, Telkom wanted an icon of speed to embody the connection. Who better to personify the brand than Usain Bolt, the fastest man ever timed? True to his form, Bolt’s role was shot in three hours. Due to the athlete’s Olympic training schedule, filming was structured around it, taking place on Bolt’s home turf in Kingston, Jamaica. Bolt’s management worked closely with Telkom and their advertising agency, DDB Johannesburg, to develop the concept. 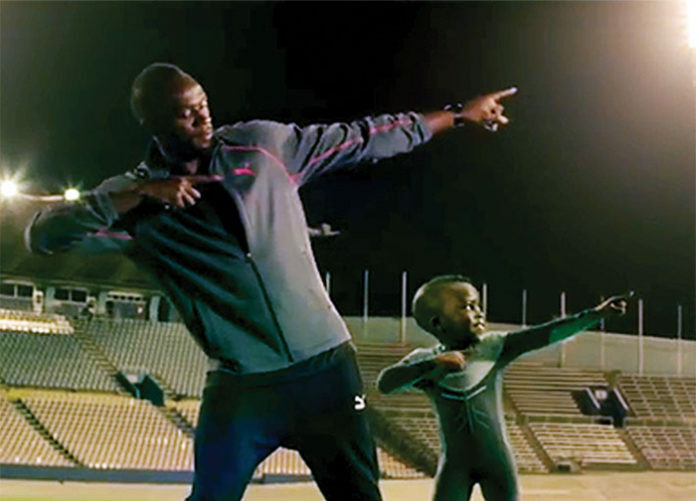 The ad features Bolt training a real talent, a toddler track prodigy in the making. “A TVC on this level would usually take up to four months to produce, with an entire week set aside for filming,” says Matthew Berge, executive creative director at DDB. “We had to trust our director, Robin Goode, and time our shoot to the second, with very little room for error.” It took a total of five days shooting with just half a day for stills and the CG shoot. 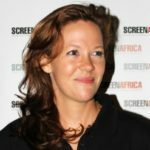 Goode, who founded Figment Films in October 2015 with executive producer Di du Toit embraced the three hour challenge for Figment’s first TVC. The Jamaican leg of the shoot was shot over two days in November 2015. “We took two crew with us to Jamaica, the DOP Tim Pike and the AD, Dale Butler,” says Du Toit. The rest of the crew were from Walters Productions in Kingston. “We had to use them as they do all Usain’s work and, despite concerns, it worked out superbly, they delivered 100 per cent. It was just like working at home,” says Du Toit. The Kingston shoot was done at the National Stadium. “We started with Bolt’s interview sequence and then used a quad bike and steady cam to get the running footage,” explains Du Toit. “We also had to capture a lot of stadium background plates to comp our running baby in.” With only three hours of Bolt they had to use a body double to get some of the shots. Bolt’s tight schedule meant they had to meticulously plan their time. A sprinter in a fat-suit was filmed against a green screen at Panalux Cape Island Studio in Milnerton, Cape Town. Children have proportionately bigger heads, feet, hands and knees compared to adults, and so fat-suit technology was used to allow an adult athlete to be filmed in the sporting sequences. This allowed seamless filming while maintaining the correct proportions of a two-year-old boy. “Goode used this technique to get the right proportions for a toddler and recreate the lifelike action for the running baby,” says Du Toit. Lastly they filmed the toddler, newcomer Michee Kabongo from SA, this was his first shoot, and it was also against the green screen to capture his face. Filming was done using the Red Dragon in both Jamaica and SA. “Once all the live action was shot we went to Black Ginger for the photogrammetry shoot,” explains Du Toit. Kabongo and the man in the fat-suit stood in one place and 50 cameras took 360 degree stills in an arc around them. These images were used to create a CG model of them to place in to the wide shots of the stadium. “This is a very common technique used in feature films today and it creates a very lifelike 3D object that can perform and do things you wouldn’t think they could normally do,” says Du Toit. Goode used these various techniques for producing the commercial to ensure the shots appeared authentic. “He needed to have total control of the action he was getting and it is always better to see the images in camera than to try and recreate them in post. This way the emotion and performance is real and there is only a small part that had to be enhanced in CG,” Du Toit confirms. The capturing of Kabongo was supported by Tracy Lund, the Baby Wrangler. “She not only cast him but managed and worked with him throughout,” says Du Toit. Edited by Ricky Boyd at Deliverance: “he did an amazing job offline so that everyone had a very clear idea from early on as to how the commercial was going to turn out when the post was created,” adds Du Toit. The music was created by Markus Wormstorm, South African musician and composer, the song has since turned into a talking point of the commercial. Next articleIs KFCB an impediment to creativity in Kenya?